Do you want to know what this Secret Garden has grown? Well, the experience can be rewarding as this Rival Gaming’s 20 pay line online slot machine comes with a lot of amazing features and secret prizes. 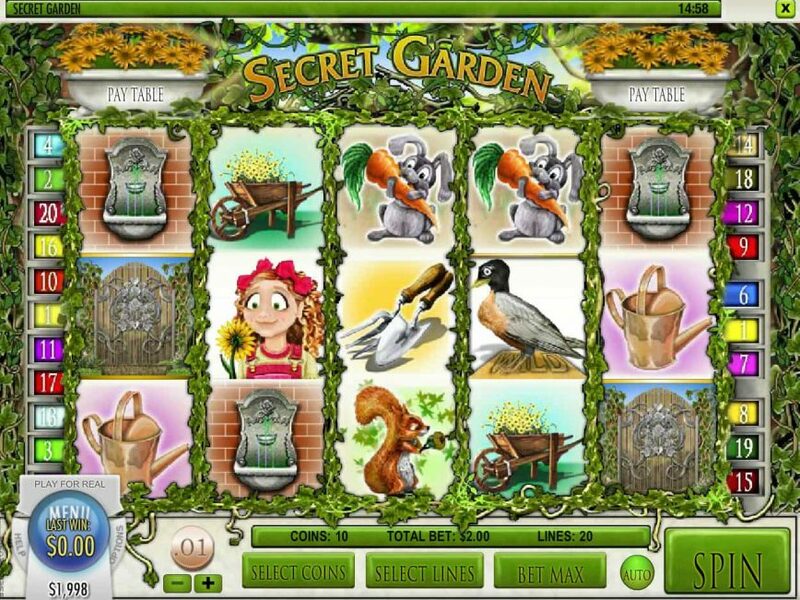 The duck is the wild symbol of this online casino slot that can pay up to 5,000 during the main game. The garden door is the scatter symbol that can initiate the free spins. With three scatter symbols in this casino slot, you will get 20 free spins along with a 2x multiplier. As you find four or five scatter symbols, the number of free spins will rise to 30 and 50 respectively. The bonus key symbol unlocks the bonus round of this slot machine. With three of more of this icon, the Secret Garden Bonus Round will explore and you will get some surprising rewards.